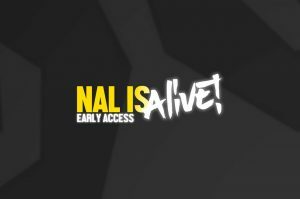 NAL is Alive has been released in Early Access on Steam as of last week. NAL is Alive is a launcher for a variety of games previously released under the NALGames pseudonym. It is the successor to the NAL is Dead bundle. NAL is Alive promises to be a great snap shot of GameMaker history. NAL (Andrew Mclusky) has been a well know figure in the GameMaker community for many years, perhaps best known for the Innoquous series and his work at GameMaker owners YoYoGames. Andrew now partners with Dan Johnston in their joined venture Chequered Ink creating games, GameMaker assets and fonts. With NAL is Alive being launched under the Chequered Ink name. Much like NAL is Dead , NAL is Alive contains a mixture of the highs and lows of Andrew’s journey as a game developer with over 130 games. There is sure to be a game for everyone. NAL is Dead is currently available on a name your own price (minimum of £0), I highly recommend trying it before purchasing NAL is Alive while it is in Early Access. The Early Access FAQ promises to improve each game in the pack to function at an improved frame rate and resolution as well as adding new games to the pack as development progresses. NAL is Alive contains games not fully integrated with its launcher or steam. The Steam page chooses only to estimate that 80 of the 132 games contain Steam leader boards.